Wireless monitoring of measured data and fast readings of measured values – the new features of the Bluetooth Low Energy Option and the OLED graphic display of the MSR145 mini data logger. 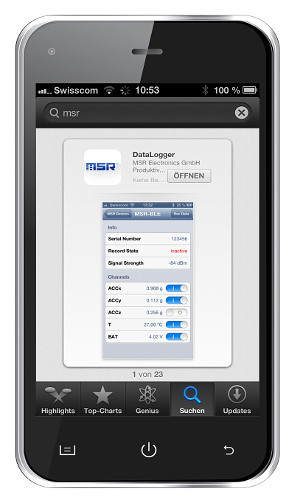 Also new: the web-based "MSR SmartCloud" service for mobile data monitoring. The wireless version of the MSR145 mini data logger facilitates easy and precise remote monitoring by means of the Bluetooth Low Energy short-range radio technology. 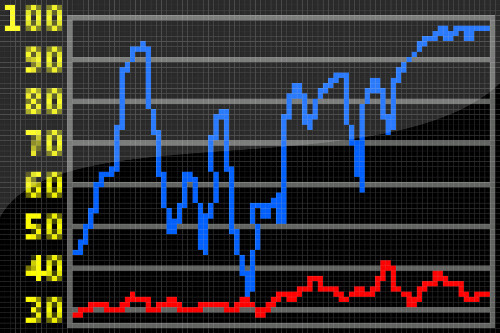 You can use the smartphone app to recall the current and last recorded values at any time, without delay. A smartphone, a PC or our BLE receiver box can transmit the measured data to MSR SmartCloud, if required. You can now equip the MSR145 data logger with a colour OLED display for a compact representation of data and graphic charts. The high screen resolution facilitates easy reading of measured values, even in total darkness and from virtually any viewing angle. The display is switched on and off manually; the desired display data can be configured in the MSR PC software program “Set up”. MSR SmartCloud facilitates the storage of your measured data on a server via the Internet, allowing you to view, print or download the measured values of your data loggers to your PC for a detailed analysis, wherever you are. If you work in a team, you can grant fellow employees access to your measured data with a personal MSR SmartCloud login, thus facilitating efficient and easy co-operation. MSR SmartCloud can notify you of incoming alarms via text messages and e-mail. Depending on the data logger type and existing infrastructure, measured data can enter the MSR SmartCloud in different ways: wireless using BLE via a smartphone, PC or a separate gateway; or using a USB cable via a PC. The MSR145 data loggers with the BLE and OLED options and the web-based MSR SmartCloud service will be available from August 2013. Please contact us at sales@interworldna.com for prices and delivery conditions.